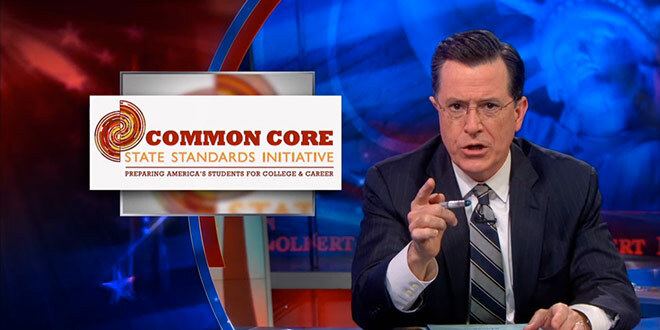 On Tuesday’s episode of Comedy Central’s The Colbert Report, host Stephen Colbert devoted a segment to “Common Core,” the problematic school curriculum that has everyone seeing double. In case you don’t know what Common Core is, it’s a set of uniform education standards that is so bad it literally teaches students that 3 x 4 = 11. And it’s going nationwide. That is, unless people put up a fight. Fortunately, more and more people are doing just that. The fact that Stephen Colbert openly and hilariously mocks Common Core on his show for 3-and-a-half minutes is a sign of just how awful and unpopular the curriculum is.